In 1989, Dr. Hank Pym took his human-shrinking technology into seclusion, leaving behind a powerful agency that would have weaponized it. 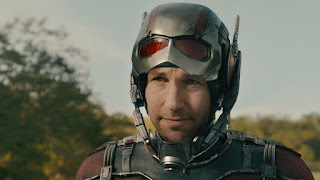 In the present day, his former mentee and successor Darren Cross has nearly replicated Pym’s efforts, and intends to weaponize the technology for profit. 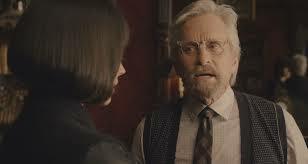 Pym’s daughter, Hope, works as Cross’ top assistant. Hank’s relationship with Hope has been strained ever since Hank’s wife, Janice, mysteriously died. Hank went into mourning, and he failed to adequately care for Hope. Although Hope has a lifetime of anger against Hank, she sees the danger in Cross’ plans, and is secretly working with Hank to save the world from such a devastating weapon. Hank and Hope are unwittingly joined by Scott Lang, a Robin-Hoodish ex-con who is trying to regain a relationship with his young daughter. Can this unlikely crew undermine the evil efforts of Cross? While there is no adoption in this movie, there are several interesting family dynamic threads that could be relevant to adoptive families as well. There is a sense of loss – Hank lost his wife, and Hope lost her mother. Both are still grieving the loss, twenty years later. Hank hasn’t shared the true story of the loss with Hope, who resents this information being withheld from her. The pain of the loss coupled with the damage caused by Hank’s secrecy has driven Hank and Hope apart. Several characters express their strong desire to be loved or affirmed by those whose opinions they value. The film clearly and powerfully shows that a dad and a stepfather can both deeply love the same child and work cooperatively for her good. There is some gross sci-fi violence on screen; one character is turned into a small pile of bloody slime. It might not be helpful to have such a “good vs. bad” portrait of birthfather and step- (or adoptive) father; in this film, the new dad is a police officer who pursues and tries to arrest the birthfather. 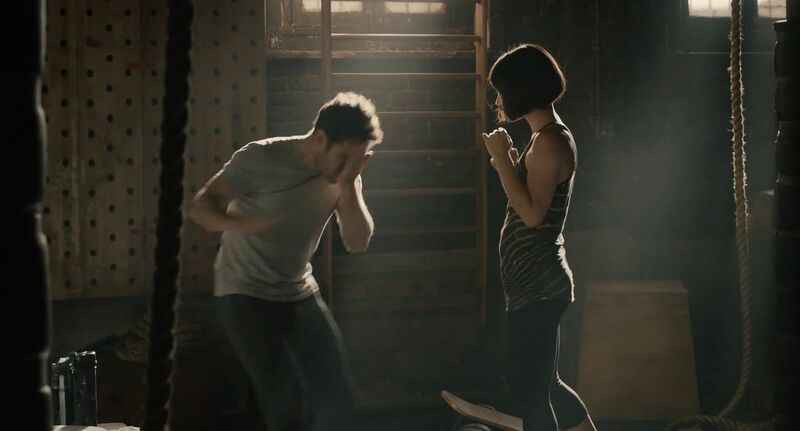 A grown man attempts to kill a young girl out of vengeance against the girl’s father. Ant-Man is an interesting film. Is it a film that shows what it’s like to have a parent who is also a criminal, or a picture of what lengths someone will go to for their children? I think it’s the latter. The violent content and complicated good-vs-evil themes in the film help it to legitimately earn its PG-13 rating. It could be fun for kids ages 11 and up, with their parents. The Santa Clause movies also explore the relationship between a child’s father and stepfather. Why hadn’t Hank shared his whole story with Hope? How might their relationship have been different had he done so? Why does Scott deserve a second chance with his daughter?